When you start to see the sun setting to the south of the lighthouse, you know that summer is fading and it will soon be fall. Though every season has its charms, and many of our guests think of Cape May as a summer destination, it is easy to make the case that the fall is the best time to visit Cape May. With the heat of summer behind us, the weather is usually as pleasant as can be. Most of our restaurants and shops in Cape May are still open, but they are a little more accessible, as the crowds have departed for the season. With the passing of Labor Day, not only are our rates lower, but we also offer mid-week discounts! The beach is still wonderful, with warmer water, and there are no beach tags! And then there are all of the events, which seem to occur almost weekly. There is never a bad time to visit Cape May, but I think that the fall is the best time. I know a lot of you agree based on our bookings. Fortunately, we still have availability throughout the fall, including some of the big event weekends. As far as I’m concerned, you deserve to treat yourself to a fall visit to The Queen Victoria … you’re worth it! The Princess Alice room has always been one of my favorites, but I think it is particularly special during the fall season. I don’t usually refer to rooms in a seasonal context, but the weather in the fall is so pleasant, that it makes the private balcony especially enjoyable. You can see the balcony in the background of this photo. I should point out that the tree visible in this picture, which used to block most of the ocean view from the balcony, conveniently died a few years ago (we honestly had nothing to do with that! ), so the view of the beach located just 1 block away is now a pretty good one. Princess Alice is classified as a “Standard Room” (with a balcony), which means that it is one of our smaller and less expensive rooms. When you consider the extended space of the balcony, as well as the open feeling that the high 13.5’ ceiling gives it, and the efficient layout of the room, it is quite comfortable and a wonderful value. One of the efficiencies of the layout is the placement of the sink/vanity outside of the bathroom, tucked alongside the custom built-in armoire in the bedroom portion of the room. I really like this feature, as it allows separate access to the sink, even if the bathroom is in use. On vacation that can really be convenient! 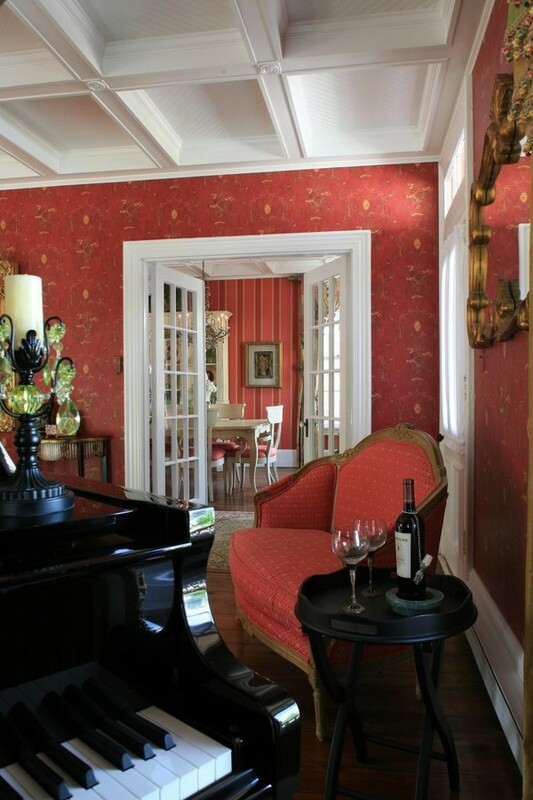 Princess Alice is a great room any other season too, of course, and I’d highly recommend it all the year round. Anna Marie and I would like to extend a very BIG Thank You to all of you who took the time to vote for The Queen Victoria in CapeMay.com’s “Best of Cape May 2016” contest. I’m pleased to report that not only were we voted the “Best B&B” in Cape May for the 9th straight year, we also won in 4 other categories, including “Best for Couples”, “Best Girls Getaway”, “Best On-site Amenities”, and “Most Accommodating Staff”. Anna Marie and I have decided that there is also an unannounced category that we won again this year, as we have every year, which is “Best Guests”! Thanks again for voting for us, but more importantly for your loyal patronage of The Queen Victoria for all of these years. A quick scan of the sub-title above will inform you that this festival is already under way, having started this last weekend (actually, it started yesterday, as I’m writing this segment on Saturday morning, 9/10/16). Thankfully it is a week long celebration, allowing me to still tell you about it and give you an opportunity to enjoy it. For those of you already booked for the coming week or weekend, check out all the fun opportunities you have to enjoy this festival. If you haven’t booked yet, we have very limited mid-week availability for this week. Believe me, if you can get away and make it down for a night this week, it would be worth it! I’m of the distinct opinion that there must be something irresistible among those offerings for anybody who is interested in Food or Wine. Which one sounds good to you? 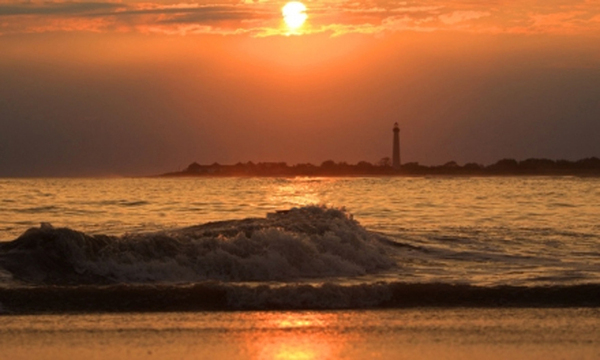 If you’re looking for a great excuse to visit Cape May during one of the best times of year, look no further! 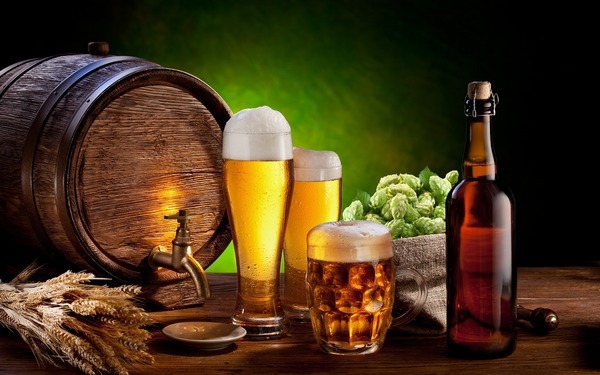 This year the Harvest Brew Fest returns to the grounds of the Emlen Physick Estate, which has got to be the coolest place in Cape May to hang out and enjoy an outdoor festival. This is an all day event featuring live music from some very talented local musicians, regional brews, food, seasonal vendors, crafts & collectible vendors and family activities. Think of it … a weekend at The Queen Victoria, an afternoon of beer, food and live entertainment. What more could you possibly ask for on a September weekend? We’re already booked for this weekend, so this article applies to all of you already reserved for next weekend, for those of you planning a 2017 visit, and anybody who needs an excuse for a fun day-trip to Cape May. If you ask Anna Marie what special event she is looking forward to the most, she won’t hesitate to name the Cape May Designer House Tour. She has literally been planning her attendance for months! Now she’s getting excited because it is just around the corner. This exciting new event is probably going to be a one-time thing, so you won’t want to miss it. The folks at MAC are sponsoring this wonderful tour of several beautiful Cape May homes recently renovated by professional designers. On Saturday, September 24, six private homes will be open for a self-guided tour of their warm and intriguing features and exceptional indoor and outdoor living spaces which have been professionally designed by both local and out-of-town interior designers. When I say that our availability for this weekend is limited, I really mean it. 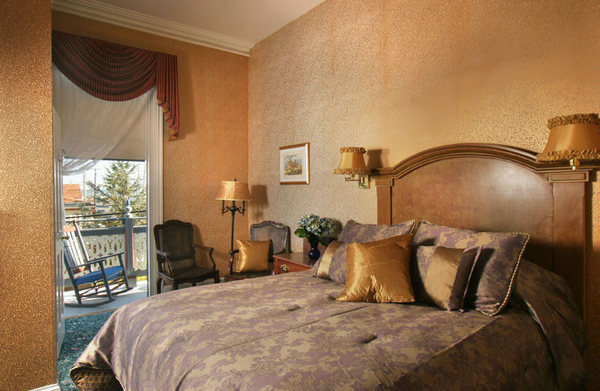 We have one vacant room left for the weekend, which would be perfect for YOU. Visit us online at www.queenvictoria.com or call us now at (609) 884-8702 to put your name on it. Every year Cape May celebrates Oktoberfest in a grand fashion. The picture to the right is typical of the big day, when Jackson street is closed down to all but foot traffic and an energetic, festival atmosphere transforms our little seaside village into a German Alpine Village (without the mountains & pine trees). As you can see, vendors line the streets from Carpenter street all the way to the beach. As you would expect, you’ll find beer gardens, food courts (yes there are sausages to be had), and plenty of shopping. Your day isn’t over once you’ve had your fill of beer and sausages, though. 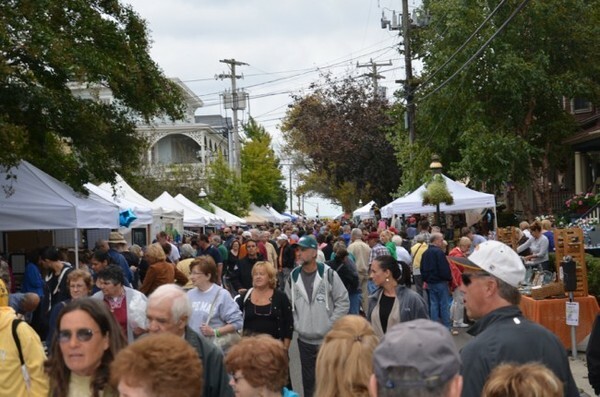 October 1 also features the Autumn Festival Crafts & Collectibles show at the Emlen Physick Estate, and a Cape May Wine Trail Lunch, which might be perfect for those of you who favor wine over beer. We only have a handful of rooms left for this big weekend, so start making your plans today. Click Here to book your room right now! 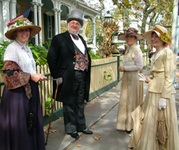 Perhaps the biggest weekend of the year in Cape May, Victorian weekend falls on Columbus Day weekend each year. As you can see from the list of special attractions below, there is no shortage of things to fill your weekend. You’re also likely to see some stylishly dressed folks strolling the streets of Cape May in their Victorian Finest apparel, which is always a treat! In addition, Columbus Day weekend is always the date of the 2-day NJ Wine Growers Association Wine Festival, now held at Navel Airstation Wildwood Aviation Museum. I believe it is the only indoor festival of the year, so a good time is assured, rain or shine. I’ve been telling you about this upcoming lecture for several months now. I know that several of you have been paying attention, because we only have a few rooms left for this big holiday weekend. The truth is, I’m VERY excited about the upcoming 2016 Lessons of History lecture. Incredibly, we have several open seats available for the October 15th event. Normally I would be mentioning this to encourage you to make reservations for that weekend. In this case, we don’t have any rooms left for the weekend, so I’m mentioning it as a fun and interesting opportunity for those of you already coming to stay with us. The November & February events still have a couple of open seats, while the January event has plenty of availability. OK, I’ll admit that I featured another set of steps last month in my “New Stuff” article. It turns out that the summer of 2016, in addition to being extremely warm, will long be remembered as the “Year of the Steps” at The Queen Victoria. These are the stairs that you traverse when entering the Queen Victoria building from the loading zone on the side yard. As one of the first things you see upon arrival, it is important that they look good. After several attempts at repainting the old stairs, we finally concluded that a bolder solution was called for. A few weeks ago we yanked the old ones off, made & painted new ones, and had these crisp, nice new steps in place within a day. Given that this is the “Year of the Steps”, it should come as no great surprise to you that we also replaced the steps from our courtyard into the kitchen of the Prince Albert Hall earlier this year. Though none of you are ever likely to actually use those steps, they are quite visible from the beach shower area in the courtyard, and make the whole area look more inviting than the old ones did. Upon further consideration it has occurred to me that we have at least 2 or 3 more sets of steps around the inn that will require some attention in the coming years, so you may be seeing more photos like this in the future. I’m sure you can hardly wait. This stunning photo was taken a couple of days ago by John Carlson during the “9/11” sunset ceremony at the end of the Cape May promenade (the cove). 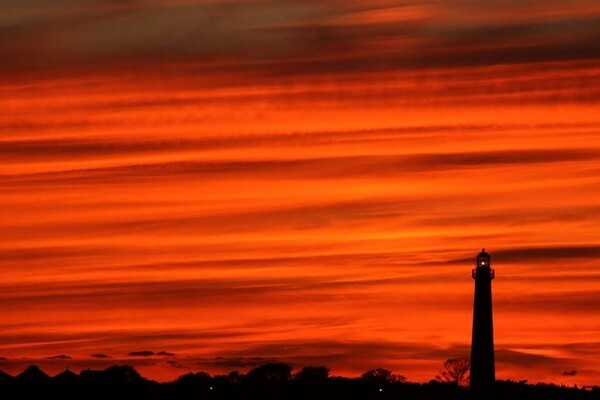 I’ve never seen a more impressive sunset with such deep, colorful hues in Cape May (or anywhere else for that matter). This is just one of many that John shared with me, and I honestly had trouble choosing which one to share with you. Based upon the amount of coffee that we purchase and pour every year at The Queen Victoria, our coffee must be one of the most popular features at the inn. So how do you improve on a great cup of coffee? Drink it out of a really spectacular mug, of course. As it happens, we have just such a mug in our gift shop. Imagine that! So let’s say that you have a reservation for The Queen Victoria in the near future, perhaps as Christmas approaches. Further, let’s assume that you have someone in your life that both loves coffee and is on your Christmas list (yes, it is time to start thinking about Christmas gifts). I think you see where I’m heading with this. You could purchase this special person a bag of Queen Victoria blend coffee, but admittedly, that might not be sufficient to express to them the depth of your feelings for them. Adding a set of Queen Victoria Mugs to the gift makes all the difference, however. Not only would you be giving them some incredible coffee, unavailable anywhere else on the planet (a big claim, but true), they would be able to maximize the experience by enjoying it from a hand-thrown, limited edition, masterpiece of ceramic craftsmanship. On the other hand, perhaps the purchase of our coffee & mugs would make your own departure from your planned visit more palatable, being able to look forward to savoring a cup of Queen Victoria coffee from your own special mug at home. In either case, Anna Marie’s suggested discounted package price is probably going to sell you on the idea. Normally $45.85 when purchased separately, we’re offering the combination of 2 Queen Victoria Mugs and a bag of Queen Victoria Coffee for only $35! If you think about it, the coffee is almost free if you purchase the 2 mugs. This is definitely the best gift shop deal that we’ve ever offered. Several years ago we were excited to proclaim that Cape May’s winery industry had reached the point where we could have a “wine trail”, which would make Cape May a wine tasting destination. With the opening of 3 new breweries in 2016, we’re excited to share with you that Cape May now has a “Beer Trail” and is now a Beer Tasting destination. I know that lots of you have enjoyed visiting Cape May Brewing Company and following their meteoric success over the last 5 years. Now you’ll have to try out the latest entries into this market! 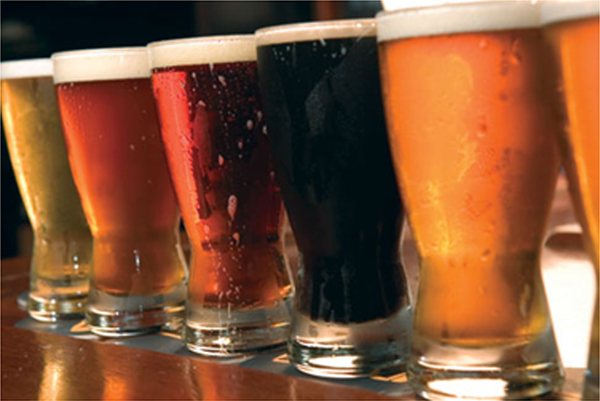 Any day is a great day to go beer tasting, no matter the season. If you’re looking for a fun excuse to visit The Queen Victoria in the cooler months that will soon be upon us, this just might work for you. If you find yourself in Cape May with weather that keeps you off the beach, or even the streets, then the beer trail is a great option for a good time. First of all, you would be hard pressed to find a prettier dining room in Cape May than Union Park. Elegant, spacious, and comfortable are words that readily come to mind. The service at Union Park is always exceptional too. From the greeting you receive at the front desk, to the bus staff pouring water, all the way to the knowledgeable wait staff attending to your every need, they are all top notch. Of course, all of that is meaningless unless the food is good. Did I say good? I meant to say excellent. Each dish I’ve ordered from Union Park has been better than the last. 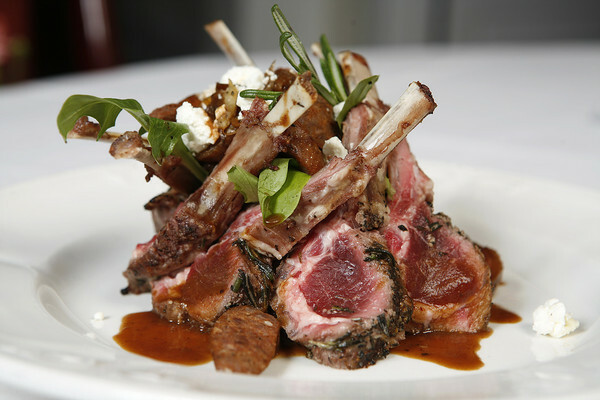 One of the hallmarks of an excellent restaurant is also the way that the food is presented, of course. You can see from the photo above that great attention is paid to the presentation of each meal. 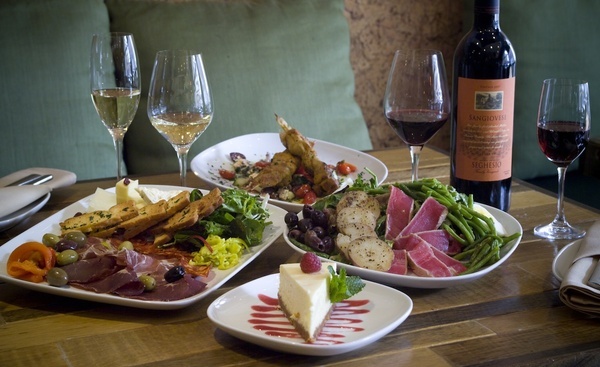 Believe it or not, there are a couple of other great reasons to dine at Union Park. One is the relative proximity to The Queen Victoria. Being only 3 blocks away, it is an easy stroll to and from dinner. Union Park is also a BYOB, which I’m sure you’re aware is almost essential to make it to the top of Anna Marie and my list. Finally, there is the exclusive package that Union Park has put together for The Queen Victoria called “Touch of Elegance”. The Touch of Elegance is a wonderful Prix Fixe menu featuring 3 very special courses (appetizer, entree & dessert) for $100, inclusive of taxes & gratuity. It really is an amazing meal and value!